Theoretically, students have options for how they make their way from their airport in Boston or New York to college in Hanover. There are Greyhounds, Amtrak stops and rental car services to choose from. But for me, and for most of my peers here, the easiest choice, and the most convenient, is always the Dartmouth Coach. It’s not every school that has such a large proportion of its students using the exact same method of transportation at the start and end of every term. During peak travel times, the Coach even has to offer extra buses outside of its normal schedule in order to accommodate all the students requesting tickets. With demand so high, it’s inevitable that Coach drivers interact with Dartmouth students. Eric Anthony, a driver who has worked for the bus service for the past two and a half years, noted the friendliness and energy of the many Dartmouth students he has encountered during his time driving the Coach. Never has he felt that any of the students he has spoken to have embodied the common stereotype of the typical “snooty” Ivy League student. Anthony spoke to the many benefits of working for the Dartmouth Coach. Anthony drives for both the Boston and New York coaches, which offer very different experiences for Dartmouth students. The New York Coach runs nonstop from Hanover to Manhattan, and students provide different perspectives on what it’s like to ride each of these buses. Because students coming from many areas on the East Coast take the Coach to New York, it can often be difficult for people to get a spot. Laura Walk ’20 said the demand for the New York Coach is often higher than the demand for the Boston Coach. “It was really hard for me to get a spot on the New York Coach at the end of spring term, and I ended up having to take the Boston Coach to South Station and then take another bus from there,” Walk said. Mackenzie Stumpf ’21 pointed out the one difference she noticed between the two Coach lines. “The New York Coach definitely has better food than the Boston Coach,” Stumpf said. One of the most fascinating aspects of the Coach is the way it forces people from all different walks of life to share a relatively small space for the span of three hours. Anthony said the plethora of different individuals he meets driving the Coach always makes the journey interesting. 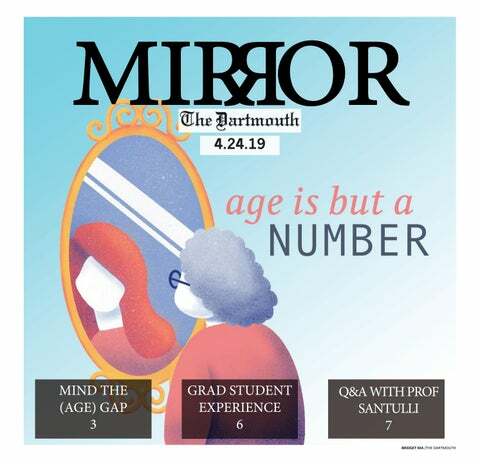 While one would think that most of the Dartmouth students Anthony interacts with would be exhausted from their many long hours of travel, but he claims that the young people he has spoken to have always been filled with enthusiasm. Anthony also explained the more intangible qualities of Dartmouth students en route to the place they call home. Anthony also shared his craziest experience to date driving the Coach. There’s something special about a drive that happens at both the beginning and the end of every term a student spends on campus. It’s a time for rest, a time for relaxation, a time for students to look forward to what they want their term to encompass or a time to look back on what they loved about the term that just passed. Theoretically, having such a limited number of options for transportation to school should be a burden, but in the case of the Dartmouth Coach, it is just one more way that Dartmouth students are bonded to their school.